Fiber Optic Cleaning products including IBC™ Brand Cleaners, NEOCLEAN E and Micro Care™. 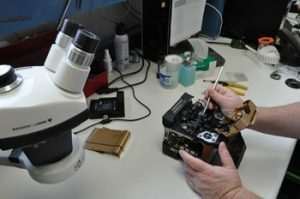 Maintain error free networking components using reliable cleaning solutions for easy quick cleaning of fiber optic connections. 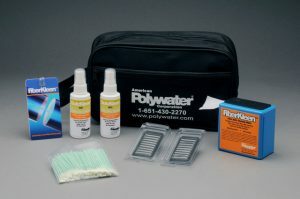 Polywater offers a large variety of cleaning wipes and towels for all of your communication needs. AquaKleen™ Water-based Fiber Optic Endface Cleaner is a brand new solution to the problem of cleaning fiber. FiberKleen™ towelette dispenser contains 175 lint-free, high-quality microfiber towels that are used to clean ferrules, bulkheads and fiber endfaces. Polywater cleaning wipes are heavy duty towelettes feature a textured side to quickly remove grease. Polywater towels are lint free, non fraying ultra-clean material. 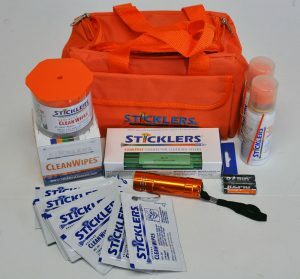 Cleaning kits from Sticklers&trade: features CLEANCLICKERR 750 cleaners for cleaning Fiber Optic Splices & Connectors, a variety of CLEANSTIXXR cleaning sticks, fiber optic wipes, dust remover and more. 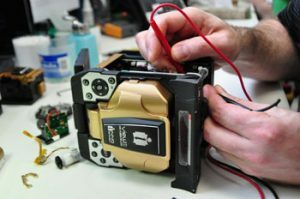 The NEOCLEAN E is a dry cloth cleaning tool specifically designed to clean single fiber connectors residing in an adapter, faceplate or bulkhead. The dust cap of the cleaning tool acts as an adapter for cleaning unmated connectors.